Quantum Studies: Mathematics and Foundations promotes a deeper understanding of all fundamental aspects of quantum theory, bridging between theoretical questions, foundational issues, mathematical methods and the continuing evolution of quantum physics. Emphasis of QS: M&F is on mathematical methods and insights that lead to better understanding of the paradoxical aspects of quantum physics, and to its expansion into new domains. This journal benefits physicists, mathematicians and philosophers of science who share an interest in the fundamental aspects of quantum theory. Review articles from our latest issue! 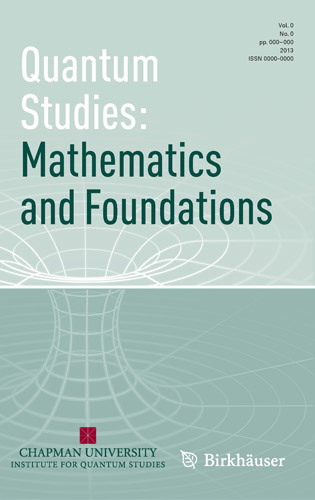 You are most welcome to submit your paper for the forthcoming issue of ﻿Quantum Studies: Mathematics and Foundations. Quantum Studies: Mathematics and Foundations primarily aims to promote a deeper understanding of all fundamental aspects of quantum theory. Furthermore, the goal is to help bridge between theoretical questions, foundational issues, mathematical methods, and the further evolution of quantum physics. We publish papers in, and between, these domains. In addition, we also encourage an emphasis on mathematical methods and insights that lead to a better understanding of the paradoxical aspects of quantum physics and to its expansion into new domains. We encourage the creative use of such paradoxes. This journal includes publication of original papers (research articles and surveys) and invited books reviews. There is no page limit per manuscript. Naturally, the length of an article should be justified by its content. Send in your electronic submissions for review using Editorial Manager. 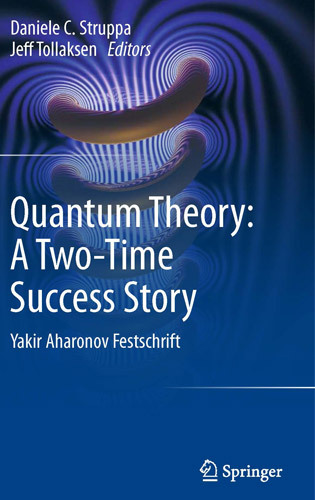 This volume contains 27 original articles contributed by the most celebrated names in the field of quantum physics, in honor of Yakir Aharonov's 80th birthday. Dr. Aharonov is a leading figure in the foundations of quantum physics. His contributions range from the celebrated Aharonov-Bohm effect (1959), to the more recent theory of weak measurements (and whose experimental confirmations were recently ranked as the two most important results of physics in 2011).